64 teams began the NCAA tournament. Of that number, a flip of the coin correctely picked 17 teams to win their first round games. Of those 17 teams, only 5 made it to the Sweet Sixteen. Those teams are… UNLV, Southern IL, Pittsburg, UNC, and USC. I won’t tell you just yet who the coin flip chose to win it all… but I will say that team went out early. How and why we make decisions is important. Then there are ways we should NOT make decisions. And as I thought would happen, flipping a coin is not a good way to make any diecision… specially those that are intricate, dynamic, or subject to factors unknown to us. 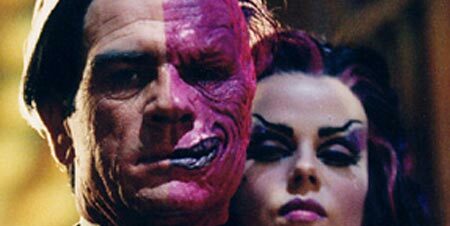 You may remember a character from the Batman movie named “Two Face.” Every time there was an important decision to be made he flipped a coin and then went with whatever the result was. At one point in the movie he flips a coin to make a decision and as the coin is in the air, Batman throws up several more coins and Two Face can no longer tell which coin he flipped from the ones Batman threw. Two Face panics and actually dies trying to catch his coin. Attempting to make decisions based on foolish means sets us up for failure. Obviously my point is that flipping a coin is not a wise method for making any decision. Now I’d like to add another means that isn’t wise… feelings. It is just a flawed a method to make a decision based on our feelings as it is to flip a coin. Mainly because our feelings change as many times as a coin flips through the air. Our feelings aren’t trustworthy nor are they an accurate gage of being in God’s will. Feelings are driven by a fallen sinful nature (Jeremiah 17:9) and must not be the determiner of what we do in life. Oh… one last thing… of the teams in the Sweet Sixteen, I chose correctly 10 of the 16.